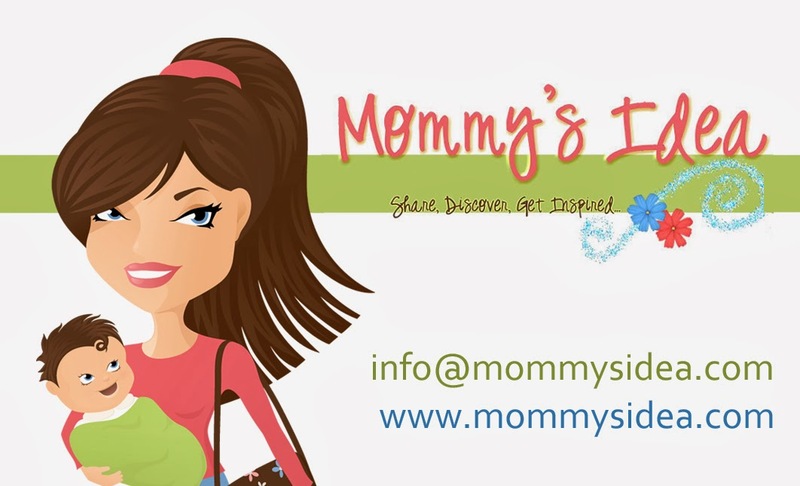 Mommy's Idea: Win a Carry All from Miss Gina Designs! Here's how to enter. . .
1. Check out Miss Gina Designs at http://missginadesigns.com/. 4. Visit the Miss Gina Designs blog at http://www.missginadesigns.blogspot.com/. 7. Blog about and link to this giveaway. Please leave your blog url in your comment. 8. Become a follower of Mommy's Idea. 9. Stumble this post or Mommy’s Idea. Contest ends at 11:59 PM EST on Friday, December 12, 2008. Meet Gina of Miss Gina Designs! 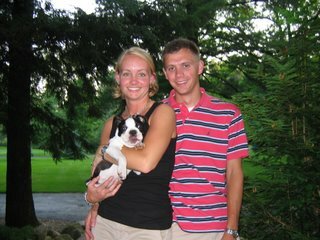 I have been married for 23 years to a wonderful man and I have two sons, ages 13 and 11. Our boys keep my husband and I hopping between golf, football, track, travel baseball, Boy Scouts, etc.! We are constantly “running”! I was trained as a fine artist and received a Bachelors of Fine Arts degree from Virginia Commonwealth University. I enjoy many different creative venues – these venues change as my mood changes! I love painting, sewing, embroidery, jewelry, woodworking, clay, papier mache, etc… Bright, bold, vibrant colors and prints inspire me! Miss Gina Designs, LLC is an online gift boutique featuring a wealth of handmade gift items. We offer a wide variety of unique and trendy handmade gifts for babies, prissy little girls, rugged young boys, ladies and men. Many of the items offered can be customized with embroidery and handpainting. You will find unique baby burp cloths, lovely purses for women, great grilling aprons for men, handpainted items, complete baby sets, adorable tooth fairy pillows, embroidered kitchen dish towels, custom tote bags, cute baby Tag-A-Poos, etc. Come and browse our website at www.missginadesigns.com. Yes, Miss Gina Designs, LLC is mom owned and created, with a lot of help and support from my husband. The trip so far has been wonderful! Miss Gina Designs is a relatively new venture. The business was formed in June 2008. I have made many new friends along the way and I am very much enjoying networking with other wonderful mom entrepreneurs. The venture has been a sensational learning experience! I am very motivated and excited about my new business and I am touched by the overwhelmingly positive feedback I’ve received thus far. I like to keep a positive attitude – one bad day is not forever – and I think we all should strive to live each day to its fullest. I love this quote from Kay Lyons – “yesterday is a cancelled check; tomorrow is a promissory note; today is the only cash you have, so spend it wisely”. the monogrammed nightlight is adorable! Thanks ladies! I fixed the link. Hi, I loved the Canvas Tote - Princess Drama. And an loving cooking 4 the cause! I love the custom baby diaper bag. Ive been wanting a bag like this for my car! I like the pink, orange & yellow car carry all but I also love that monogrammed Christmas ball. Too cute! I love the Pink Tag-A-Poo Blankie! Very cute! I left a comment about her beautiful stockings! They are very cute! I especially like Gina's personalized Mod Christmas stockings. They are "groovy"! I subscribed to Sara's blog. Good luck to her as she grows her blog. I subscribed to your mother's blog also! Thanks for the additional entry! The santa mini sld is so cute! Clever and stylish idea! I like the All-orange / teal Asian inspired bag. I left Miss Gina some comments too! The Custom Monogrammed Girl's Sweatshirt is perfect for my grand daughter. I left a comment on her site - under the pictures of the carry alls. I love the pink monogrammed tutu! i love the custom tagapoo blankies! I love " Grilling Apron - All Fired Up Burgundy "
Purse 022 is my favorite in pink and brown toile. so pretty and right up my alley. I left a comment at missginadesigns blog. I really like the custom tagapoo blankies. Thanks for the giveaway! I like the Custom Canvas Tote Bag-Bubble Design. Thanks for the contest! I love the Crayon Caddy - Sports. I like the Custom Burp Cloth - Baby. My favorite is the Purse 009. I like he Custom Baby Diaper Bag !! many pockets and beutiful colors! I like the customized baby diaper bags. Thanks for another great giveaway! Love the blankets especially the Custom Tag-A-Poo Blankie. I like the Custom Handpainted Monogrammed Christmas Ball Ornaments... I think I might have to get some to give as hostess gifts. I am subscribed to your email feed. I left a comment at Miss Gina Designs on her post about this giveaway. I like the long blue floral apron with ruffles. I love the diaper bag! So much room. So many pockets! Just awesome. The Custom Monogrammed Girl's Sweatshirt is a pretty design and would be fun for a little girl to have. My favorite is the Dish Towel - Grandma's Kitchen. my favorite- Crayon Caddy - Monkeys. My daughter would love the Custom Monogrammed Girl's Sweatshirt. Love the Apron - long - flower fabric...so cute! the Tutu - Light pink with sparkles would be great for my niece. I heart the handmade purses, especially the one in the April Cornell fabric. I'm following you on Twitter now, too. I absolutely adore the #HO-015 HP - Snowman ornament on snowflake-I collect snowmen and this is so unique. It would be perfect on my tree. TThe purse 005 is my favorite. I love the color, pink, and the vintage lace detail. The custom diaper bag is adorable. The crayon caddies are two cute! That is a wonderful store and the prices are very reasonable. I know I will be back. I just love the Crayon Caddy Apron - blue frogs. But all of them are adorable. Thank you so very much! I love the custom/personalized hair bow holders! Precious! I like the tag a poo blanket in blue. So cute and what great ideas. 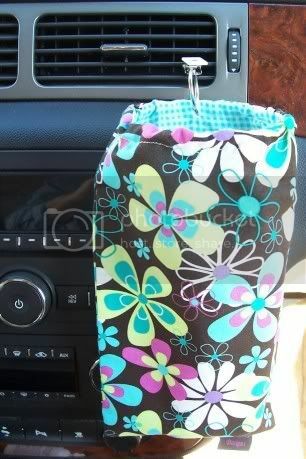 The Car Carry-all in the Mod Turquoise Floral is way cute. I love the Dish Towel - White/Blue! Everything is so cute! I really like the Custom Crayon Caddy Apron! It is so cute! I like the light blue tutu with sparkles. Poo" Blankies!" I would appreciate being entered in your drawing. The Pink monogrammed tutu is cute! Wow! This site has tons of beautiful stuff. I love the flower apron,the custom hairbow holder and the monkey crayon holder. I have bookmarked this site for future shopping. i like the monnogrammed nightlight with polka dots. sugary79 at aol dot com. The Custom Handpainted Monogrammed Christmas Ball Ornament is really cute. The car carryall is a great idea! I like the Rooster dishtowel for the kitchen. I really like and could use the car carry all! Seems to be one of the most disorganized places we have! Your button is on my left sidebar! I am a follower of Mommy's Idea! I left a comment on Gina's blog! I like the Purse 020, but everything is cute! I love the Apron-long blue floral with ruffles. The baby diaper bags look very nice. Lots of pockets too! Just the way I like them. I love the retro looking Apron-long black food border trimmed in yellow. Thanks. I love the black, pink and turquoise note cards. They are beautiful. I love to send little notes of encouragement to people. I also subscribed to your feed. thanks! I like the purse, I'm sorry I already forgot the name. My kids are cranky and not wanting to go to sleep. Nursing one and the other wants to play. Ahh Thank you. I like the sports crayon caddy! I love the fabrics she uses - so colorful! I really like the Car Carry-All - orange pink yellow floral on black. It makes me happy just looking at it! I am a a follower too! I love the crayon caddies. My daughter would love something like this. My favorite desgin would probably be the blue frogs one. I like the handmade purse..too cute. My sister loves Purse 008 made with Amy Butler fabrics using an Amy Butler pattern. Please accept my entry. Thank you. I like the short yellow and black apron, just what I need for cooking! I really like baby set 001. Good job, Gina. I like the custom light pink Tag-A-Poo blankie! My favorite is the Custom Monogrammed Girl's Sweatshirt! I left a comment over at the Miss Gina Designs blog! I like Purse 032. Great colors! The toile Custom Monogrammed Night Light is really neat. Love the Monkey Crayon Caddy! My favorite is the Tutu - Light pink with sparkles. My Daughter loves the Bracelet with the green beads. I love the Custom Monogrammed Night Light - Polka Dots. I like the Crayon Caddies in Monkeys! I like the monogrammed sweatshirt! I like the short orange and red floral apron. It's really cute! My favorite items are the note cards! I like the Custom Canvas Tote Bag-Bubble Design. Thanks for the chnace to win. I love the Monogrammed polkadot night light!! It would look so cute in my daughters room!